Lot 926. 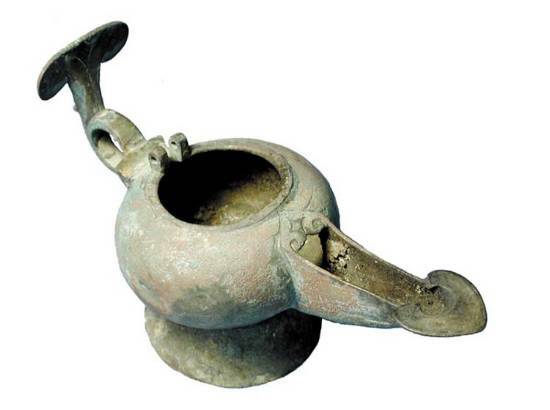 Bronze Oil Lamp. Islamic Near East, IX-XI Century AD.